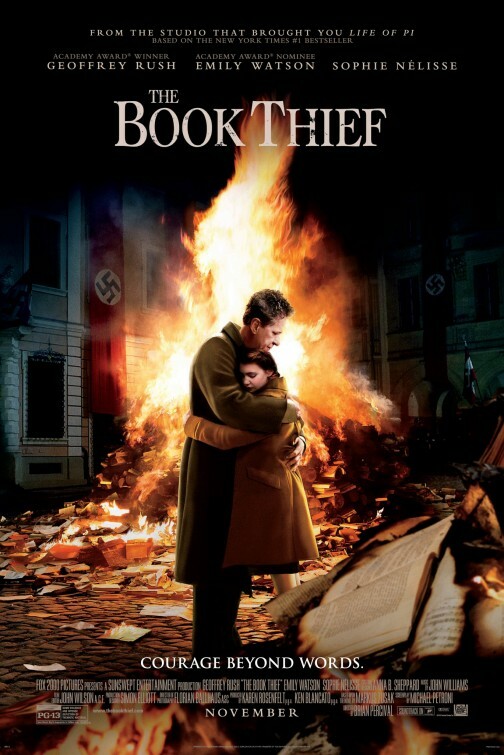 The cinematic adaptation of Markus Zusak’s bestselling novel The Book Thief by screenwriter Michael Petroni retains the central theme of Death as the Narrator, particularly appropriate as it follows the life of Liesel as she is adopted by a German family in a smaller village on the brink of World War II and the encroaching tide of Nazism which was to engulf Germany and lead it into War. The BBC hit series Downton Abbey British director Brian Percival’s adaption of The Book Thief like the novel focuses on the story of Liesel Meminger beautifully played by Sophie Nelisse and her friendship with a local German boy Rudi Steiner wonderfully played by Nico Liersch and essentially the narrative is framed by a child’s vision of a brutal and cruel world in which books are being burned and oppression is rife. Percival sticks to framing the fortunes of Liesel and her adopted parents Hans and Rosa Hubermann superbly played by Geoffrey Rush (The King’s Speech) and Emily Watson (War Horse) and the young girls desire to become completely literate discovering words as a means to heal the loss of her brother and make sense of the anarchy and horror of approaching war which is about to disrupt their tranquil existence. To complicate matters, the Hubermanns harbour a Jewish refugee Max played by Ben Schnetzer as part of a debt that Herr Hubermann had to a deceased German Jewish man who saved his life during the First World War, bringing the sense that War begets War. Liesel strikes up a friendship with the youth in the cellar, wonderfully sensitive performance who soon realizes that by remaining there he is putting the lives of the entire family at risk as the Nazi’s edge closer to the final solution, Hitler’s plan to exterminate all the Jews in the Nazi Reich, which included all German occupied territories and those countries like Poland conquered during the German invasion during World War II. In a reverse of the bombing of wartime London in Stephen Frears’s magnificent film Mrs Henderson Presents, The Book Thief shows the average German civilian population also being stuck in bunkers as the Allies bombed their towns and cities. The Book Thief is not about taking sides or points of view whether German or Allied, but effectively illustrates the inevitability of death, especially as it narrates life more poignantly and aggressively in times of war and the tragic effect it has on children. Death in this case is a voice over throughout the film, narrated by Roger Allam, discussing quite elegantly the taking of souls as people die. Grim stuff indeed, but made so lyrical by the hauntingly beautiful musical score by John Williams, The Book Thief‘s only Oscar nomination for 2014. The film is lyrical, irrepressible, sad and brilliantly acted especially by the young stars Nelisse and Liersch as the adult actors (Rush and Watson) stand back and allow these thespian proteges to shine so beautifully in such a sombre story of repression, devastation and loss. 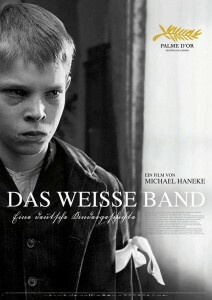 Recommended viewing for cinema lovers that enjoyed films like Stephen Daldry’s Oscar winning film The Reader or Michael Haneke’s excellent Austrian foreign language film The White Ribbon. 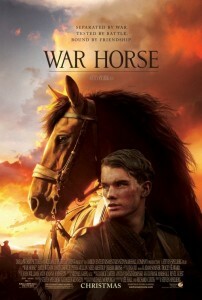 German film actors Kirsten Block (The Reader) and Rainer Bock also from War Horse round out the cast.